A U.S. congressman’s daughter dies in a triple homicide while passing through a small town in Mississippi. F.B.I. agents jump on the case, and start to unravel the corrupt nature of the seemingly trivial town. Writer-director Miles Doleac gives us The Hollow, a crime thriller produced by Lisa Bruce , who also gave us the Academy Award winning film, The Theory of Everything. The film stars some talented veteran actors, including William Sadler, William Forsythe, and Jeff Fahey, along with some exceptional actors in James Callis and Christiane Seidel. Miles Doleac had his directorial debut with The Historian, which didn’t make too much noise, despite being fairly well received by audiences, most notably for the performance of William Sadler. The trailer shows some potential, and could be a cinematic gem, especially with the cast of superb actors that seem to be underrated. William Sadler should be in more films, as he always brings his A game, and there’s never enough of Jeff Fahey. The film is projected to be a hybrid of Blood Simple and Twin Peaks. 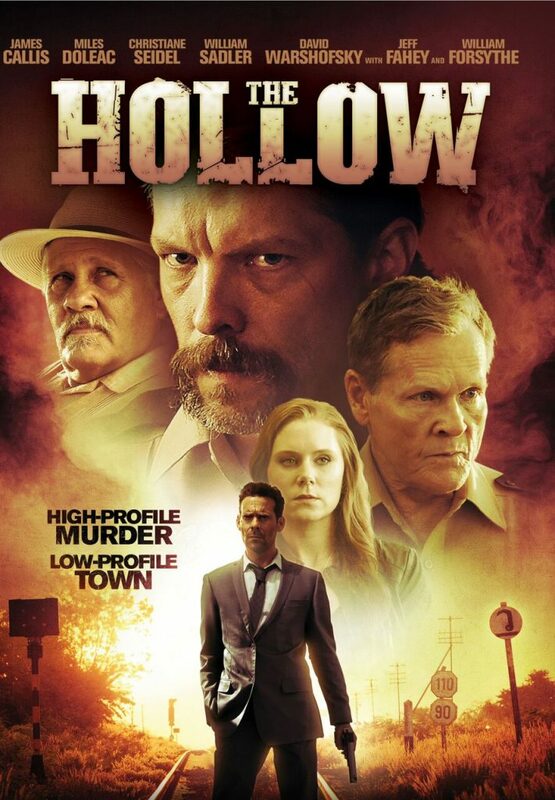 The Hollow will hit select theaters and VOD on October 7.